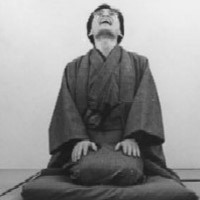 The practice of authentic Shiatsu was handed down to Yasuo Mori by his mother in Nagasaki, Japan. Over the years he has developed his own unique style of treatment by incorporating his understanding of Japanese folk medicine, macrobiotics, exercise and massage. Mr. Mori is fully licensed by the Washington Board of Massage and the Washington State Department of Health. He has been a member of the American Massage Therapist Association since 1983, and has taught Shiatsu extensively at numerous colleges, massage schools and private workshops across the Northwest. Mr. Mori is approved by the National Certification Board for Therapeutic Massage and Bodywork (NCBTMB) as an Approved Provider, #701313. Read "Best of Seattle" article about Yasuo Mori.